Jatinder, Greg, Maddie and Jess are at a football summer camp near an old airfield. They mysteriously find themselves propelled back in time. Only if they can learn how to fly the great RAF planes – the Sopwith Camel, Spitfire and Typhoon, will history will lead them on a flightpath back to the present. Read all 3 books and get a signed certificate. Tell me here if you’ve read the whole series and you can receive a special signed certificate. 2017 Wings: Flyboy was on the longlist for the Leicester Our Best Book award . Click for more information in the Wings Presenter here. 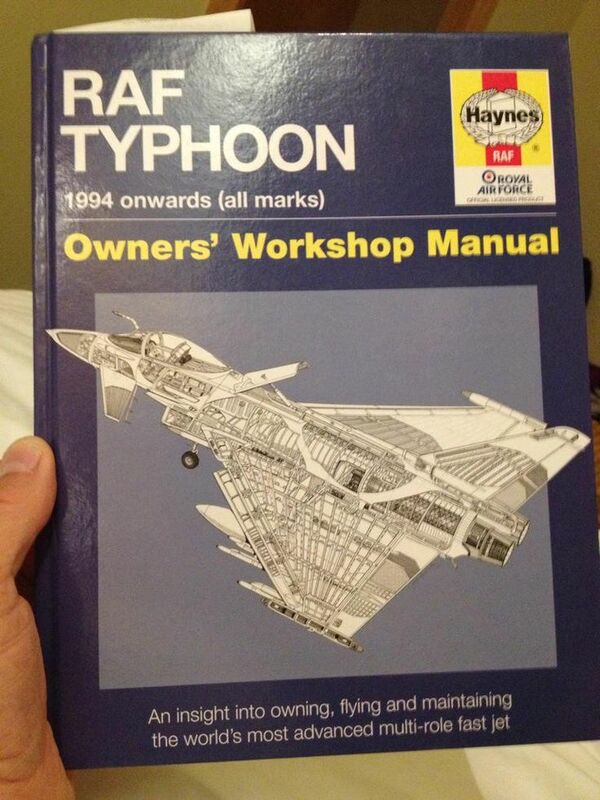 Each book comes with a simple model plane you can make yourself! New colouring sheet of the great RAF planes featured in my children’s series Wings – the Sopwith Camel, Spitfire and Typhoon – to mark this year’s centenary of the RAF. Download here. This pack is full of different literacy ideas for the classroom, library or at home. Hopefully, there will be something to help literacy take off for every child. The Wings series have been translated into Swedish. More here. 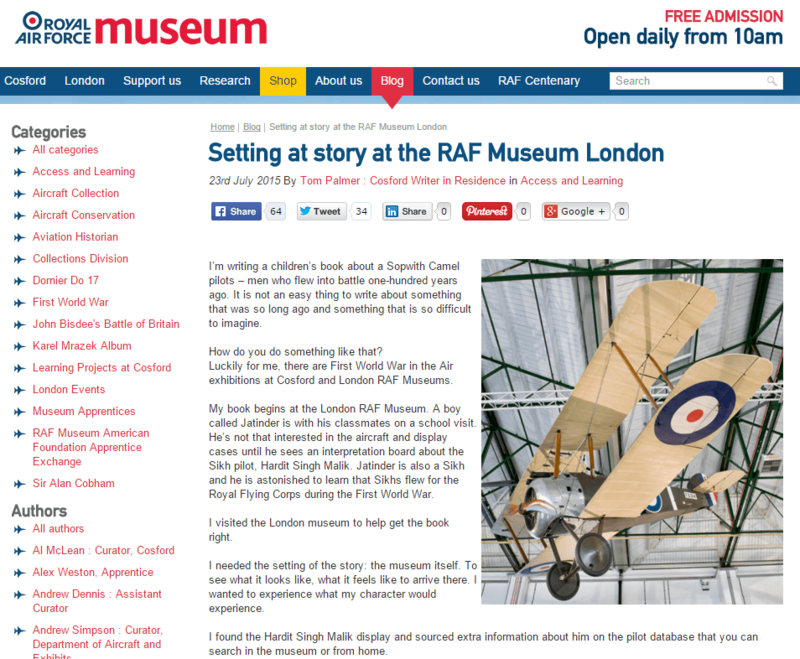 I wrote the books with help from RAF Museums as their children’s writer in residence in the run-up to the RAF’s 100th anniversary in 2018. 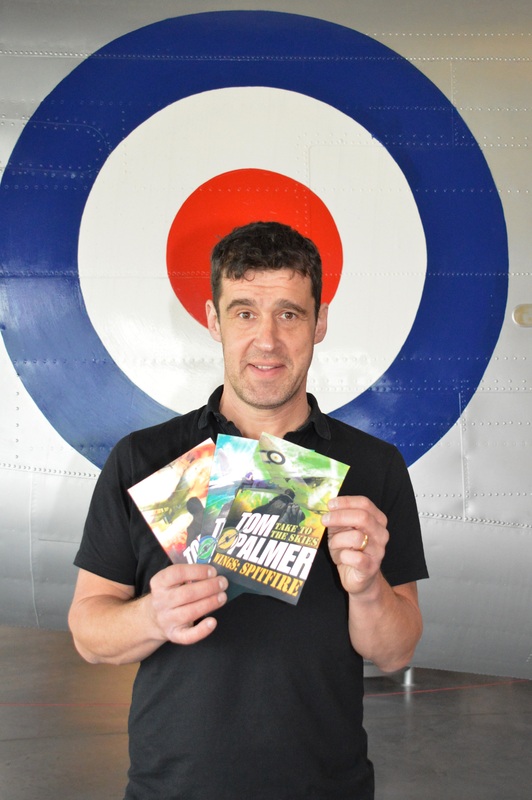 The books were inspired by me and my daughter making an Airfix kit of a Lancaster Bomber two summers ago. Read my blog about setting it here. Read Wing’s illustrator David Shepherd’s blog here. Watch my short Wings vlog.